The Delhi High Court today asked the CBI to trace the founder of the north Delhi-based ashram where girls were allegedly kept under illegal confinement. 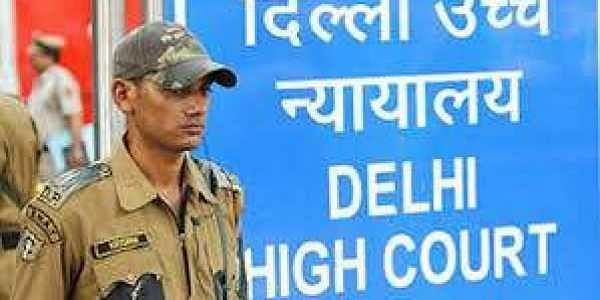 NEW DELHI: The Delhi High Court today asked the CBI to trace the founder of the north Delhi-based ashram where girls were allegedly kept under illegal confinement. A bench of Acting Chief Justice Gita Mittal and Justice C Hari Shankar has aksed Virender Dev Dixit, the founder of the Adhyatmik Vishwa Vidyalaya in North Delhi's Rohini to be present before it on January 4. The high court had yesterday raised doubts over the ashram's claims that women inmates there were not illegally confined, saying that if they were free, why were they being kept behind locked doors. The bench had also sought to know why the ashram's founder was not making an appearance if he was genuine and honest. The high court had also enquired into the financial details of the ashram and sought to know from where they were getting funds to run the institution. Earlier, the high court had directed the CBI to probe the alleged illegal confinement of girls and women in the ashram where, it was claimed, they were kept in "animal-like"
conditions behind metal doors in a "fortress" surrounded by barbed wire. Taking note of the "seriousness and the sensitivity of the matter", the bench had asked the CBI director to forthwith constitute a special investigation team (SIT) which will take charge of all records and documents pertaining to the case. The court has passed the order on the PIL filed by NGO Foundation for Social Empowerment, which informed the court that several minors and women were allegedly being illegally confined at the "spiritual university" here and were not allowed to meet their parents. Taking note, the high court immediately set up a committee, comprising lawyers and Delhi Commission for Women chief Swati Maliwal, to inspect the premises of the institute. The committee, comprising lawyers Ajay Verma and Nandita Rao, gave a report detailing the "horrible" living conditions of the over 100 girls and women who were housed in "animallike conditions with no privacy even for bathing". The panel, which had again inspected the ashram and its adjoining building, submitted today that over 30 mobile phones were seized and they want the court to order sealing of a room where they found trunks and other documents containing "serious evidence". The bench said since the CBI is now seized of the issue, they should investigate it. During the hearing the bench was informed by the ashram that that there were over 168 women living in the premises. It was informed by Delhi police's standing counsel Rahul Mehra that the Delhi government's health department has set up a medical board, which will soon visit both the premises in question to medically examine all inmates to ensure their well-being.